Visit the Mississippi Gulf Coast, overlooking the sparkling Gulf of Mexico and 26 miles of scenic coastal beaches. Visitors can enjoy our world-class golf courses and championship fishing. Some of the artistic and historical museums have reopened. After a day of fun, visitors can begin an exciting evening with dinner at a local seafood restaurant before heading off to enjoy 24-hour gaming at one of the coasts casino resorts. Whether you are looking for a relaxing weekend getaway or an adventure-filled vacation, change your pace and visit the Mississippi Gulf Coast! Unforgettable is the only word to describe Mississippi Gulf Coast’s picturesque beaches! Twenty-six miles of soft white sand outlines gentle waves that dance on the water’s surface offering an exceptional view from U.S. Highway 90, aka Beach Boulevard! A chain of barrier islands limits the amount of strong waves reaching the beaches, making the resultant calm gentle waters ideal for water-based activities and children! Several pullovers provide convenient beach access, photo opportunities, and water adventures for beach goers! Pass Christian and Long Beach, which are just west of the Gulfport/Biloxi area are considered residential areas offering quieter, tranquil sections of beaches for sunbathing, romantic walks, or moonlight picnics. Presently there are only limited portable restrooms available, but plans are for new and improved comfort stations to be rebuilt! Several designated areas of the beach provide perfect nesting areas for an endangered bird species known as Least Terns. Visitors are restricted from these areas, but encouraged to stop, take pictures, and enjoy these unique and beautiful birds! If surf is your priority, take the Ship Island ferry from the Gulfport Small Craft Harbor to our biggest barrier island, Ship Island. Ship Island Excursions offers daily passenger ferry service to West Ship Island and Fort Massachusetts (circa 1858), part of Gulf Island National Seashore. The island is approximately 10 miles offshore from Gulfport/Biloxi offering visitors beautiful Gulf waters for swimming, sunbathing, shelling finding and more! Mississippi Magazine recently selected the island as one of the top 25 must-see places in the Magnolia State, and USA Today named it as one of the top ten beaches in the United States! Be sure to bring plenty of sunscreen, as the sun can be fierce! The cruise to the barrier island takes about an hour one way, and dolphin sightings are frequent during the boat ride! Food service, chair, and umbrella rentals are available on the island! Ship Island Excursions runs March October. Gulf Islands National Seashore: Just a few miles off the mainland you’ll discover Mississippi’s treasured barrier islands: Ship, Cat, Round, Horn, and Petit Bois, which are part of Gulf Islands National Seashore. The islands, with pristinegulf water, sparkling-white beaches, are known for their remoteness. They are only accessible by private boat or passenger ferry, but they are well worth the trip. Swimming, fishing, boating, hiking, nature photography, birdwatching, and exploring are just some of the activities enjoyed on the islands. How the barrier islands were formed is something of a mystery involving the work of waves, winds, and fluctuating sea levels. Though the history of their creation remains elusive, weathering and currents are responsible for the topographic changes and shifting that persistently occur. Amazingly, storms have caused islands to change shape and even vanish entirely. Despite the continual changes that occur, the islands remain to buffer the mainland from storms and provide habitat for the rich, diverse wildlife residing within the area. In the island interiors, marshes collect fresh rainwater to help support its inhabitants. Blue crab, fiddler crab, and lined hermit crab are often seen on the beaches and in the marshes. The islands also provide ideal nesting grounds for the loggerhead sea turtle, which feeds on crabs and other crustaceans common to the area. Behind these islands, waters of the sounds, bays, and bayous are less salty than the Gulf waters. Nutrients washed down from the mainland give rise to a wealth of marine life. In addition to shrimp and fish, which are valuable to commercial fishing, you’ll discover creatures such as herons and egrets, which reproduce and flourish in these areas. The clear waters surrounding the islands provide perfect habitat for southern flounder, Florida pompano,sheepshead, red drum, and speckled trout. If you’re lucky, you may even catch sight of a dolphin frolicking in the water. For visitors interested in birding, more than 260 species of birds have been identified within the boundaries of Gulf Islands National Seashore. It is home to the brown pelican, great blue heron, and osprey to name a few. Near the water, plants, such as sea oats, which are tolerant of high salt levels, thrive. Behind the primary dunes, trees and shrubs can be found, but they never grow much higher than the dunes that protect them from the salt spray. Farther back, freshwater collects in marshes among old dunes, which supplies trees with water. Without the nourishment and protection vegetation provides, the wildlife residing in the area would quickly succumb to the islands’ oftentimes harsh, unforgiving environment. 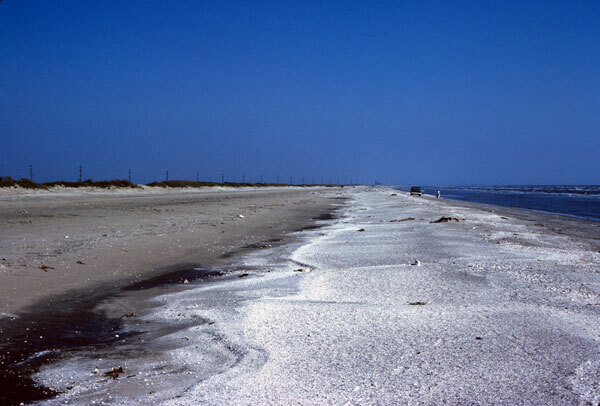 Ship Island, one of the most popular island destinations for visitors, is approximately 12 miles offshore. It is host to Fort Massachusetts. Confederate soldiers occupied Fort Massachusetts for six months during the Civil War. It is one of the last masonry forts built by the U.S. Corps of Engineers. Although Fort Massachusetts is no longer a viable military fort, its beauty and craftsmanship remain as symbols of a strong, yet passive coastal defense. Tours are available during spring, summer, and fall. Please note that daily passenger service to Gulf Islands National Seashore is only available from March through October. Don’t miss out on your chance to experience this phenomenal string of islands. Gulfport is the second largest city in Mississippi after the state capital Jackson. It is the larger (population wise) of two principal cities of the Gulfport-Biloxi, Mississippi Metropolitan Statistical Area, which is included in the Gulfport-Biloxi-Pascagoula, Mississippi Combined Statistical Area. 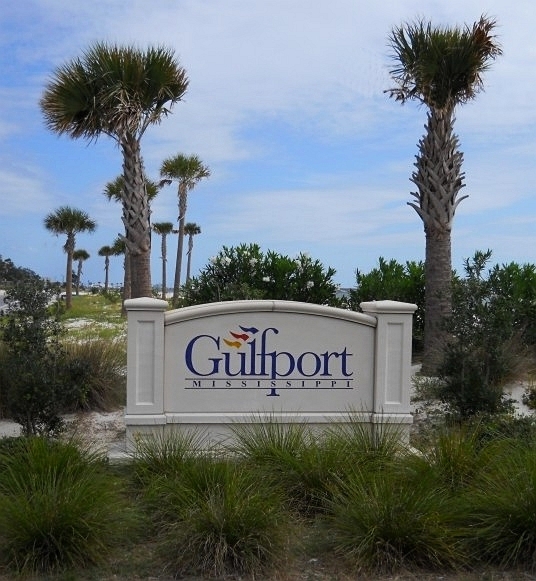 As of the 2000 census, the city of Gulfport had a total population of 71,127. Gulfport is co-county seat with Biloxi of Harrison County, Mississippi. Gulfport is the east coast home to the US Navy Seabees, and also the birthplace of American football player Brett Favre.